Karen Civil has effectively used Social Media to discover her dream career and build a business of purpose. She has headed up Social Media campaigns for the likes of Beats By Dre, runs a leading entertainment website and written a book about her journey. For the launch of our #BehindtheGram webinar series we invited Karen Civil to discuss how she has grown her personal brand and share key Social Media lessons from the brands she’s worked with. You can read an edited version of the transcript with key highlights below or listen back to the full webinar HERE. #BTG: A lot of people look at other people’s success and they have this fast-food mentality that it happens overnight. How many years has it taken you to get to the level that you’re at now? Karen Civil: It’s well over eight years but I still don’t feel like I’m at the place I want to be, and I’m going to continue to grow to get there. There is a lot more work that I want to do, and again it’s just honestly timing. It was easier for me when I started, because social media wasn’t as prevalent, so you didn’t get to see everyone else’s journey right in your face so quickly. So, now it’s harder for people, because you can log on to Twitter and Instagram and see people’s updates and see them doing things, and then this is where comparison starts to come in and people get down on themselves. They’re like, “Well, how come they did it in this amount of time and I can’t do it? Maybe I need to start over. Maybe I should quit; maybe I should start something over.” You just start to second guess yourself. MSMPA: At what point did you realise that, “Okay, do you know what, I’ve got something here, not only can I turn it into a career, I can turn it into a business that pays money”? MSMPA: After you got flown in to do the work for the Backstreet Boys, how did you go about getting your first clients? Karen Civil: Backstreet Boys weren’t my first client, I was just able to meet them because my site was so great. My first client honestly was Wayne; I built a relationship with the Young Money team when I worked with Diplomat Records, and from working with Diplomat Records they’d seen the work and the marketing and the digital strategy and the things that I did. So, he saw my tenacity, how much I was dedicated to work and wanting greatness for the people around me as well as myself, so they gave me a shot first, and it worked. We created [website] and [his] Facebook group with thousands to millions of fans; he currently holds the Guinness Book of World Records for most amount of likes and fastest amount of likes, so yeah, it really started with him, and I’m grateful for the opportunity of being able to work with him. I told myself I was going to use him as the blueprint for creating my company and this was going to create a domino effect, because if he did great, then it would start to transcend continuously for me. MSMPA: I remember that campaign. It was a bit ahead of its time as well, because nobody else in hip-hop was really embracing social media like Wayne did with that. Karen Civil: Yes, no one at all. No one was creating personal blogs and journals online. This is before people were writing essays on Tumblr and things like that, so again, that’s really what it’s about, it’s being able to set the trend and to make sure that whoever I work with, whether it be the client or not, they are creating something great that’s going to transcend online to offline and have people discussing. This is not something that just lived online; you would turn on MTV News and they would be talking about it, it was a great way for his fans to connect with him. He was able to have a Number One album in the country, so it was incredible and the marketing was all done through the site. MSMPA: You mentioned you formed a relationship with Lil Wayne’s team. What advice would give somebody now who is trying to build industry relationships especially with Social Media. Karen Civil: When I first started going to events to meet people, this was my trick that I used: I wouldn’t go with a friend, because when we go with somebody we tend to stay with them, stick with them, talk with them and not get out of our comfort zone. So, what I would do is, I would go alone and I’d make sure I came with my business card. I didn’t come with 25 or 50, I came with 10 business cards. At every event I said [to myself], “I’m going to look for 10 people, 5 people that I can help, and 5 people who I think could help me.” Most people would flock towards an artist, they would flock towards the people in the front, I would go look for the person who worked in marketing, the PR person, the person who was running around the party like crazy, trying to put everything together. To me, those people behind the scenes are the ones who make it happen for the people in front of the scenes. They’re the real decision makers, so I made sure I gave my card to assistants, day to day managers, PR, marketing, anyone who I felt like was instrumental in putting together the event that I was at. I’d wake up the next day, send an email, “Very nice to meet you,” tell them about my site, include a media deck and figure out how we can work together, I would offer [help] before I would ask for something. That’s something that really, honestly works for me, and I tell people now, “You really have to understand your social media platform and the power that it has,” it’s all about branding yourself online, if you run a business, if you’re an artist, or whatever it is, all your names should be in unison. I’ll meet people who are like, “Yes, my name is this on Twitter, it’s this on Facebook, it’s this on Instagram”. It will be like five or six different names, and it’s hard for people to find you. So, it’s honestly about being cohesive and making it easy for the fan to find you. MSMPA: This brings me to another question people are asking. Is it better to start building their business brand on social media, or is it better to build a personal brand first? What would your take on that be? Karen Civil: I mean, those are two different things. If you want to build a personal brand, build a personal brand; if you want to build a business you build a business but people have to understand how to separate the two. I’ll go to business pages and they’ll have pictures, “Picking up my son from school,” or them at the bar, and it’s not a personal brand page, it’s their business page. 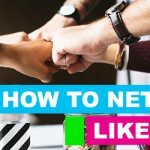 I’m big on online resources, like Instagram, Twitter, Facebook, they update their blogs and they tell you about how you should be posting, new features on their networks and how you can utilise them. There is Twitter for business, I’m a part of that, I look at the different things that they offer, just so I can figure out how I can grow my business and how I can grow the artists that I work with. MSMPA: Do you still engage in learning about social media and how you can further you and your clients brands? Karen Civil: Yes, social media is something you can never be content with; you have to continue learning, you have to continue growing. It’s like, I constantly test to see what works for me, for my personal brand, what people want to see me post, what people want to see me talk about, what works, what doesn’t work. I do an audit monthly with my social team on all the accounts, including mine, to see what tweets worked, what tweets didn’t work, what type of engagement, who we should be talking to, the times we should be talking. 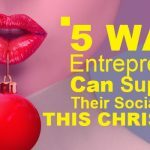 All of those things, it’s crazy, but it’s now a full time thing, and it’s something that, once done right and people put the time and effort into, it will really help you grow your business. People constantly [will be] like, “Well, how did you get to go here?” Or, “Is this post advertising?”, the majority of the time I tell people I’m not going to take advertising or business from any product I don’t believe in, or something that I wouldn’t use because I’m all about being organic with advertising, 75% of my Instagram posts are advertising, and you would never know that. I’ve figured out an organic way that’s not too pushy or too cheesy for my platform, and it continues to create conversation with people leaving comments. The businesses are happy, because instead of saying, “Hey, this is a great product, buy it,” you actually see me engaging with the product, you see me using it, and then people go to that page like, “Yeah, I saw Karen using this, this might work for me,”. It’s all about studying your audience, and there are so many free social tools to help you figure out who your following is, I’m big on using Crowdbooster, because it tells me the times I should be posting, it tells me who my ‘VIP followers’ are, people who are very engaging and I should engage with, they tell me who I should be speaking back to. A lot of the fans ask me a question and I may miss it, and [Crowdbooster] point it out for me. 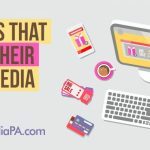 MSMPA: What are the top three things you have learned about growing your brand on social media? Karen Civil: Watch what you say. There are times when – none of us are politically correct, but you have to remember, sometimes people aren’t going to take a joke. People sometimes may not get your sense of humour, so if it seems insensitive, if it seems like something that will cause controversy, you should kind of move away from it. Because at the end of the day social media is our platform, but again, when your platform becomes so large and so many people are watching, you can’t always say what you want. It goes back to the rule our parents taught us, you can’t say everything that’s on your mind, unfortunately. Another one is really understanding your platform. People go, “Oh, it’s just Twitter,” no it’s not, it’s a way to create business and to make money, it’s a revenue stream. So really understanding the platform you have and where you want to take it and how you can continue to grow it. A third is… Let’s see. Well, it kind of falls under the ‘really knowing your platform’, but respecting your brand and respecting yourself. Just because something may be popular or cool, you may not be a fan but you think, “Alright, you know what, I just have to like it because everyone else likes it,” no, you don’t have to pretend, it’s okay to sit out conversations. Chasity Robertson: I wanted to know, despite adversity in your life what motivated you to keep going, and how did you know what to start first in your life? Because I know you had your career, but now you’ve released your journals, and you have your coffee mugs and stuff like that. Karen Civil: The first point I would say is I do not let society rush me on my path, because once you let society rush you, that’s when you start to second guess and think, “Okay, am I not doing it well?”. I’m not going to rush my greatness, there is no time set on that, so I’m okay if it takes me a little bit longer, because I know I’m going to be successful. Nicki Adebayo: Karen was talking about when she goes to the social networking events and she gives her business card to the PRs and the people backstage. I wanted to find out, what if you’re not well connected, how do you find yourself at the right place at the right time? Karen Civil: There is no such thing as being well connected. I started off probably similarly to you; I didn’t know anyone, I followed people on social media and I would see people post invites, I created a group with other bloggers and we would forward invites to each other so we knew about them. That’s pretty much how it started for me; it wasn’t about connection, it was just about building. Tasin: I just have to say, this whole Q&A is very enlightening, you’re a pretty awesome woman. What I wanted to ask you was, at what point did you feel comfortable to approach different brands. 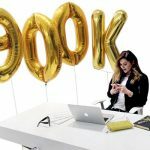 Should you feel worried about your numbers, or should you just go in and say, “I think I can offer something really awesome, can we work together,” – what is your advice on that? Karen Civil: When I reached out to [Beats by Dre], I had a good following, but I created a marketing deck so they could see what I could do for them, how I could grow their platform, how I could make things bigger for them, and that gave them a peak inside of what I’m able to do. It wasn’t something that was generic, it was something created just for them. Thanks to Karen for being our first guest speaker on the #BehindTheGram webinar series, we’re excited to see what she does next. What is the key think you’ve taken from this interview? Let us know in the comments below. © 2016 My Social Media PA. All rights reserved.